Consciously decide to give more attention to where we agree than where we don't. 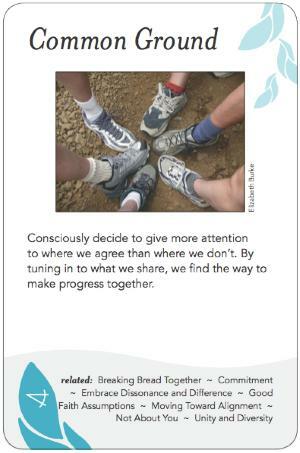 By tuning in to what we share, we find the way to make progress together. If run over too many details or differences, could come back and cause trouble later. Is this a core issue or not? Know when to work on the differences.